North of Stellenbosch, Franschoek, Paarl and the other better known wine growing regions of South Africa’s Western Cape lies the Swartland. 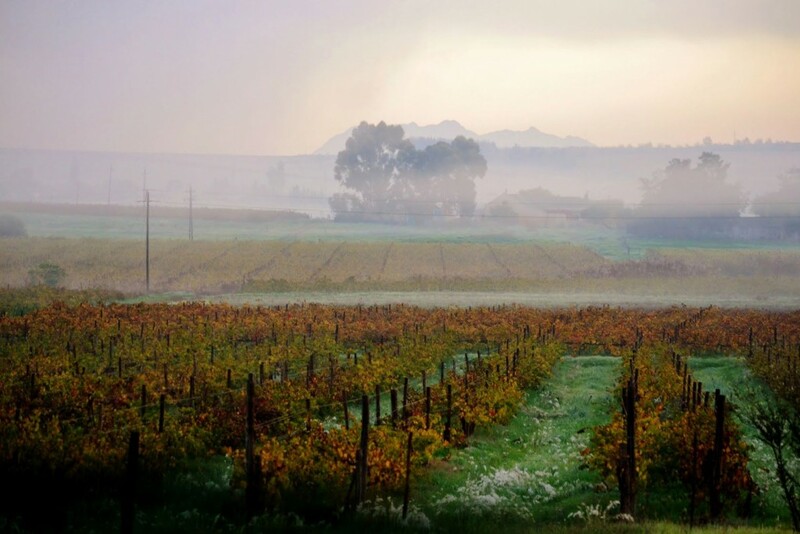 This evocative landscape stretches from Malmesbury in the south to the Piketberg in the north, Darling in the west and Riebeek Kasteel and Riebeek West in the east. This has traditionally been wheat-growing country, known by many as the bread basket of the Cape, but the unique terroir and viticultural practices found in the Swartland are producing some of the country’s most progressive wines. Lonely Planet regards the Swartland as one of the 10 most intriguing wine regions in the world. The Swartland name dates back to Jan van Riebeeck and the first Dutch settlers, when it was called ‘Het Zwarte Land’ (the Black Land). This is attributed to the ubiquitous Renoster Bos, a native bush which turns black after rain and gives the hills a dark appearance. Winters here are cold and wet; summers are hot – sometimes very hot – and dry, though some vineyards to the west benefit from breezes off the Atlantic. Dryland conditions and minimal irrigation result in vines stress, producing low yields of intensely expressive fruit. The traditional bush vine viticulture of the area involves careful canopy management that slows ripening and maintains good acidity, while requiring hand-picking as a standard practice. The best soils of the region lend themselves well to the planting of Rhône varieties – a relatively recent discovery and one that is paying great dividends for local winemakers. While most of South Africa’s farms have spent recent years pulling up Chenin Blanc vines in favour of more fashionable cultivars like Sauvignon, the Swartland remains home to some of the oldest Chenin vines in the country. It has become a varietal speciality of the region, but is also blended with other Rhône varieties and Chardonnay. Swartland Shiraz has for some time had a cult following, but is quickly developing a reputation for world-class examples of this evocative grape.